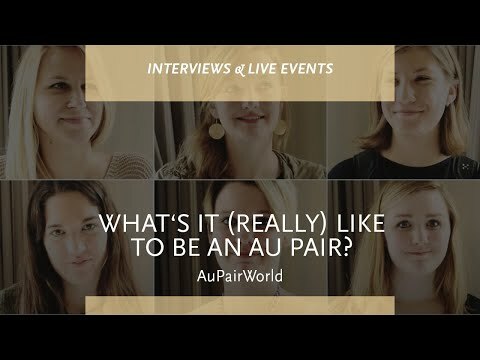 Video: What's it (really) like to be an au pair? In our new video, seven au pairs tell what they get from the au pair experience - in 20 seconds or less! Sometimes short answers tell the story best. Listen in as seven au pairs from around the world put their experience in a nutshell for us. They were attendees at the AuPairWorld Au Pair Meeting in Frankfurt. Interested in registering as an au pair at AuPairWorld? It's the first step to your own au pair experience!